Who doesn’t like cold and creamy desserts? Unfortunately, most of standard store-bought frozen desserts are packed with calories and sugar. 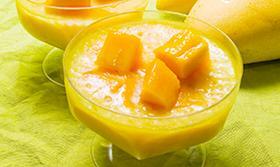 Here is a simple dessert that uses frozen mango and coconut milk to make a dish your friends will rave about. Combine in a blender 1 cup frozen mango pieces, â…“ cup coconut milk, 2 tbsp hemp seeds, and 2 scoops of milk protein blend. You can add water as necessary to achieve desired consistency. Mashed frozen bananas provide an ice cream-like consistency without the added sugars, fat, and calories. Here’s the simple recipe: Slice up 2 very ripe bananas and 1 cup of strawberries. Place them in the freezer until frozen. 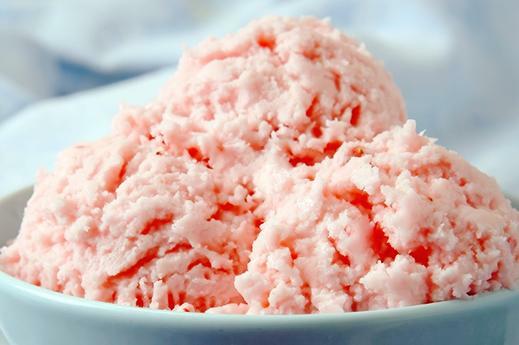 Once frozen, place strawberries and bananas in a food processor and process on high until an ice cream like consistency is achieved — voila, vegan ice cream. Ice cream is a great late night treat but with a half cup packing almost 200 calories, this treat becomes off-limits fast. A great alternative to traditional ice cream is to make it with frozen bananas. Pistachios in the shell are an excellent nighttime snack as the de-shelling process requires some work, consequently slowing down how fast you can eat them. The slower you eat, the less you will consume. 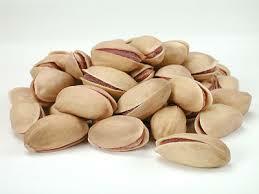 Another bonus with pistachios is that you get to eat more nuts per ounce (49 nuts) than any other nut. The combination of getting to eat more and having to eat them slower makes pistachios one of the best options. In addition, nuts come with a unique nutritional package since they contain fiber, biotin, vitamin B6, thiamin, folate, unsaturated fats, and plant sterols — all of this makes them highly-nutritious as well as satisfying. If you are looking for something more, you can pair pistachios with goat cheese or a fruit, like raspberries.